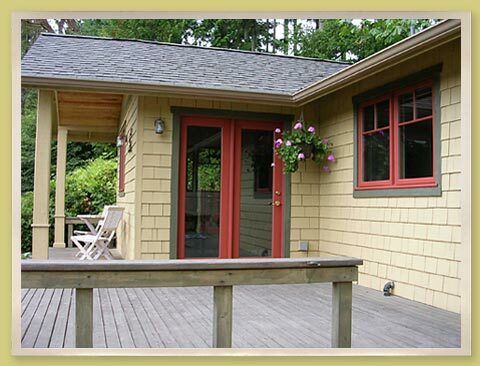 This wonderful cottage offers you all the comforts you could wish for. Have an excellent night sleep on our classic four poster queen bed and awake in the morning to views of sun laden green pastures. Amenities include a fully equipped galley kitchen, dining area and living room with Wi-Fi, stereo and cable access. The deck has a propane grill, table and chairs for dining alfresco or just basking in sun and nature. Sorry, no smoking in the guesthouse. We welcome pets, but please make a request at the time of your reservation. Rates are for a one-bedroom guesthouse. A queen sofa sleeper is located in the living room. 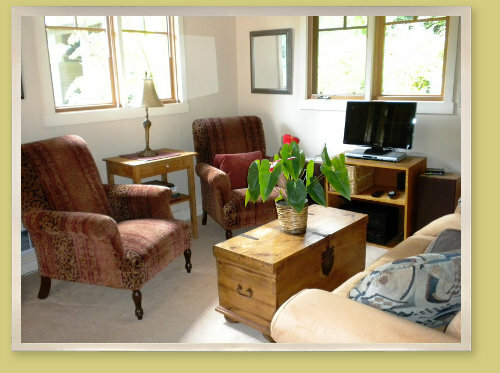 The Guest House can accommodate up to a maximum of four people. We require a deposit to reserve advance dates; the balance is due at check-in. We accept credit cards. Sales tax of 8.6% will be added to the rental fee. 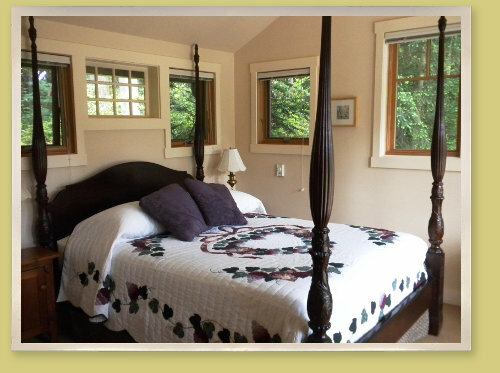 Click here to see guesthouse availability.